Designer ceiling fans generally refer to the top level manufacturers in the industry. It's almost like when you're looking at a designer wallet, or pair of pants. Based on the manufacturer, the price of the ceiling fan can either be high or low. It all depends on which manufacturer you're looking at. One nice thing that sets ceiling fans apart from a designer handbag or pair of pants though, is that you can get designer ceiling fans on both the high end and lower end of things. You don't need to spend a huge amount of money in order to purchase a designer ceiling fan. You can get one for under $100 in some cases even. This works for people who have lots of money to spend, or even those on a limited budget. 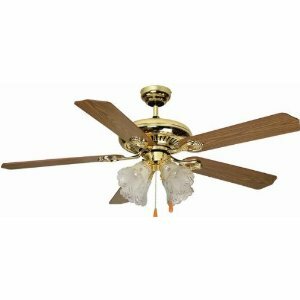 Designer ceiling fan reviews are a good read if you don't know what ceiling fan you want to purchase. 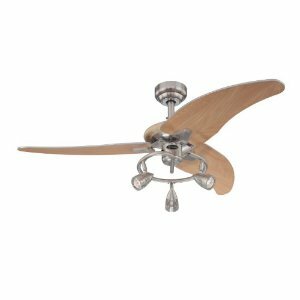 You can read all the designer ceiling fan reviews here before purchasing a ceiling fan, in order to best compare and learn which ceiling fan you are interested in. 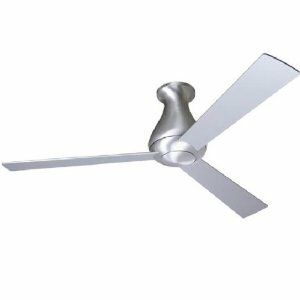 There are many different designer ceiling fans here, so feel free to browse or ask a question in order to figure it out. 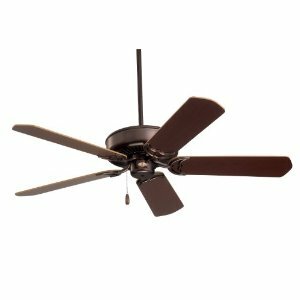 At 12 inches in length, the Modern Fan Atlus Hugger Ceiling Fan is a beautifully sculpted design intended for low ceiling applications. The positioning of the blades at the bottom of the fan, furthest from the ceiling, allows for maximum airflow from a hugger fan. 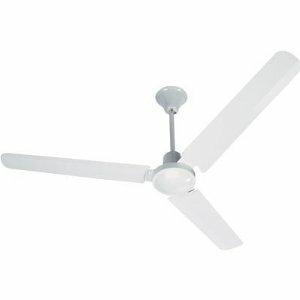 The fan is available in a white or aluminum finish. Blade span is available in 36", 42" or 52, also in either white or aluminum. It uses either one 75W incandescent bulb or one 26W CFL bulb. The fan measures 8.5" wide x 12" high and comes in a variety of control options. The Designer features a seamless housing for a clean, attractive look. You'll find it in a variety of finishes to fit your needs. The Designer fan is the one to choose for exceptional quality and value. Features: 52-Inch blade span with 14 Degree blade pitch. Light fixture adaptable. 3.5-Inch downrod. Five reversible blades. Decorative canopy cover. Energy Star qualified. Limited lifetime motor warranty. 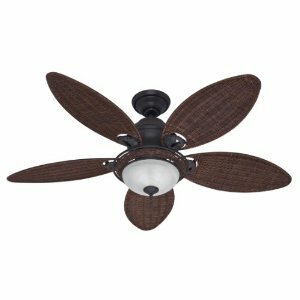 Add a contemporary and creative touch to any room with the Westinghouse Lighting Elite Three-Light 48-Inch Three-Blade Ceiling Fan. 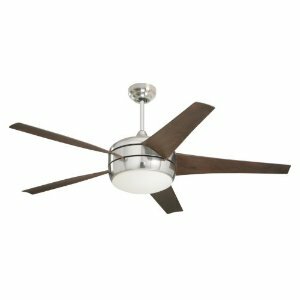 The brushed nickel finish and matching spotlights have a sleek, modern look, and nicely compliment the beech plywood blades. 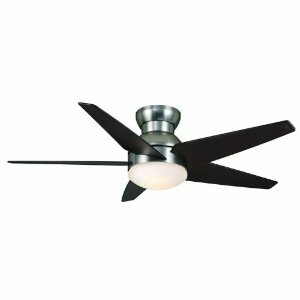 Ideal for rooms up to 144 square feet (12 by 12 feet), this fan features a 153-by-17-millimeter silicon steel motor with triple capacitor. Three fan speeds (high/medium/low) and a reversible switch help keep you comfortable. In warm weather, you can run the fan counterclockwise to stay cool. Hunter has brought beauty to the bathroom. Whether it's a design feature or blends into the ceiling, a bathroom fan is more than a quick way to keep the mirror from fogging. 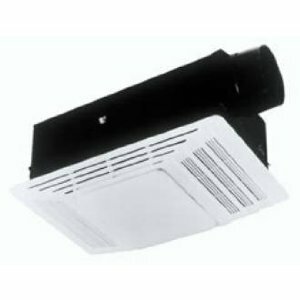 Hunter bathroom fans provide superior air movement to remove excess moisture. You don't need to heat the entire house to have a comfortable bathroom first thing in the morning. And it simply doesn't make sense to wait for your central heating system to do what Broan can do instantly. Our Heater, Fan and Light provides powerful heating, light and ventilation at the touch of a switch. Heater, Fan and Light brings convenient, comforting warmth to your bathroom. Designer white polymeric grilles complement virtually every decor. Two three function wall controls are available separately. 1300-Watt heater. Fan, light and heater function together or independently. 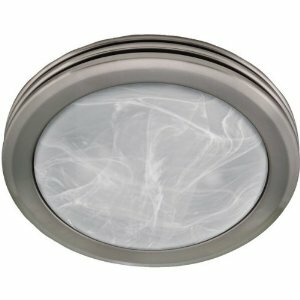 Type IC, Fits 2-Inch by 6-Inch ceiling construction. 20-Amp circuit required. Superior air circulation meets contemporary design in the Isotope ceiling fan. 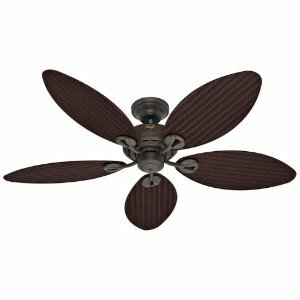 With its low profile and wing-swept blade configuration, this sleek fan is an ideal choice for flush-mount installation in interiors with lower ceilings. It is available in two blade spans for maximum versatility and style.